Power and hierarchy are intrinsic in the Australian health care system and can be well understood using sociology theories. Sociology is a branch of social sciences that deals with the social life (Allen, Braithwaite, Sandall, & Waring, 2016). The knowledge of sociology is essential in the health sector; since social factors influence the occurrence of health conditions. Additionally, caregivers rely on sociological knowledge to determine the different treatment methods according to the origin of patients. Medical conditions like alcoholism develop due to the behavioural habits of the victims (Davies, Conroy, Winstock, & Ferris, 2017). The sociological analysis of the health care system has different approaches called perspectives which include functionalist, conflict, and interactionist. The efficient exercise of power enhances the smooth running of the sociological aspects. Moreover, the health care hierarchy ensures proper system implementation of the perspectives in medical attention. This essay will explain the three sociological concepts of healthcare. The paper will also explore the biomedical model of medication. The model gauges the biological processes and uses the information to apply the relevant treatment. The write-up will also discuss the concept of power and hierarchy in the Australian system. The paper will determine how hierarchy and power help to manage the effects of alcohol. Sociology is a useful tool for caregivers as it helps them to understand the hierarchy and the importance of power in a health facility. The perspective of the functionality of the healthcare system assists the care provider to appreciate their roles at the health facilities (Walker, & Peterson, 2017). As a health practitioner, I can understand the effects of alcohol and how to assist such patients. The sociological aspect retaliates that medical care and good health are essential for the progress of the country. Therefore, the Australian government must empower the healthcare professionals to provide quality treatment to patients. 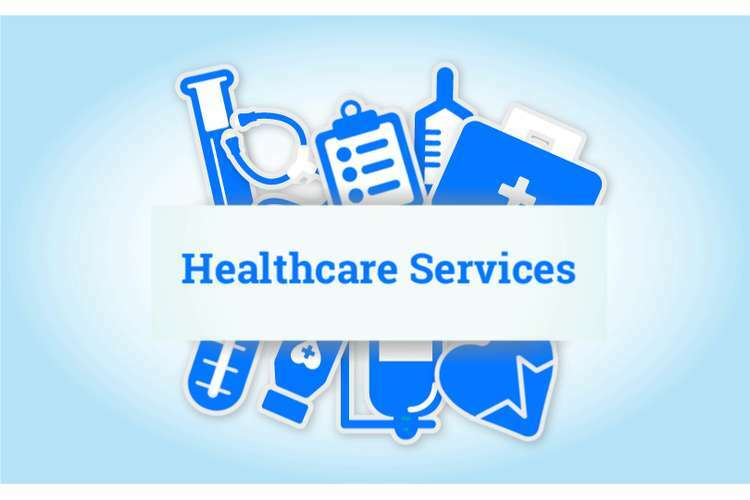 Additionally, an elaborate hierarchy eliminates confusion and ensures fast delivery of medical services. When an individual contacts a disease, the person assumes the “sick role” (Ward et al., 2015). The care provider has the power of writing a medical letter to exempt the sick person from work. The understanding of hierarchy also helps caregivers to attend to patients complaining about the effects of alcohol. The psychiatrist advises the patient to stop the alcoholism addiction as the pharmacist issue drinks prescribed by the physician. The Registered nurse has the responsibility of ensuring that the patient takes the drugs according to the prescription. The sociological perspective addresses the social inequalities in the society. The quantity and quality of care depend on the race, gender, and the economic class of the patients. During the present day Australia, the level of patient's education is also a determinant on the quality of care at the hospital (Mitrou et al., 2014). Highly educated members of the society have power and high ranking in the community as opposed to those with little or no education. Therefore, education impact individuals with knowledge about their status of health and appropriate methods of treatment. On the other hand, less educated individuals lack sufficient understanding of health (Sallis, Owen, & Fisher, 2015). An educated person understands the effects of alcohol and can stop the habit of excessive drinking. On the other hand, the less educated person can suffer from alcoholism due to lack of knowledge on the impacts of alcohol. The perspective views ailments to be more than a health condition. The sociological aspect states that social constructions are the primary causes of diseases. The interactions between individuals make them have different views on the origins of complications (Zhou, 2014). Therefore, individuals can harbor false information about a disease due to misinformation from an unreliable source. Uninformed individuals view alcoholism as a habit condition rather than a severe health concern. People tend to stigmatize the people suffering from the effects of addiction as they consider the patients to be victims of their wish. As a caregiver, understanding the notion towards the alcoholics can help me to eliminate the stigma due to the complication. Caregivers should take advantage of their hierarchy and power in the society to provide quality treatment to patients. The model helps caregivers to issue valuable medical attention to patients but fails to highlight the essence of power and hierarchy in the care. The biological model asserts that the progression of a complication is due to the interference of the body’s biological processes (Baum, Freeman, Lawless, Labonte, & Sanders, 2017). The concept separates the mind of a sick individual from the mind. Therefore, it is possible to attend to a patient without considering the external factors. The idea requires medical experts to conduct treatment due to their adverse knowledge and skills on diseases. Additionally, medical technology should exist to ensure adequate medical attention (Williams et al., 2015). The biological model considers one to be healthy if their mental, social, and physical states are functioning well. Therefore, if individuals lack an infirmity or a disease, they may still be sick. The model concentrates on the need for quality treatment and does not mention the need for power in the care system. However, the two aspects of hierarchy and authority are essential in medication. The model majors on diseases that infect individuals due to biological factors. However, the biomedical concept also focuses on complications due to lifestyle habits such as alcoholism. Therefore, the idea applies scientific methods to replace the traditional modes of treatment. The model mandates medical practitioners with the responsibility of dealing with sick individuals due to their verse training and experience (Schadewaldt, McInnes, Hiller, & Gardner, 2016). Additionally, the government should equip hospitals with relevant clinical tools to facilitate treatment. The model also gives doctors the power to exercise their skills on the ill patients. The caregivers should refer to the concerns of the clients before conducting medication. Sociological interactionists seek to find out how patients and physicians discuss the diagnostic process. Recent research has exposed the conflict between the clients and the doctors on matters concerning consultations. Patients prefer long patient-centered meetings while the physicians root for short discussions (Baker, & Watson, 2015). Such conflicts can find a solution if the healthcare sector factor in the power and hierarchy concepts. The model has several disadvantages and has faced widespread criticism due to its limited scope. Proper health encompasses power and is beyond poor treatment by the caregivers. The government can ensure a healthy living by improving the hygiene and sanitation of the citizens. Proper housing and nutrition also ensure that individuals lead a healthy life (Braithwaite et al., 2016). The health stakeholders should apply their power to mobilize the government to provide the above necessities for a disease-free nation. Prescribing the appropriate drugs to a patient who is suffering from the effects of alcohol may not solve the condition permanently. The alcoholic may resume his drinking habits if the psychiatrist does not explain the impacts of alcoholism to the patient. Therefore, every health practitioner in the hierarchy of the hospital has a role to play in the recovery of a patient. A group of sociologists argues that medications can be harmful to the patients due to the side effects. Hierarchy refers to ranking individuals according to their positions in a given organization (Anicich, Fast, Halevy, & Galinsky, 2015). On the other hand, power is the capability of an individual to exercise will on a group of people. In the modern Australian society, Hierarchy exists in almost all sectors of the economy including the health facilities. The hospital has positioned the care providers in different positions to facilitate the provision of care. Every practitioner has to take advantage of the hierarchy to provide quality medical attention to the patient. The hospital administrator should take advantage of the high ranking to mobilize the construction of specialized wards for specific ailments. Different rankings come with various responsibilities. Therefore, the caregivers should ensure that patients suffering from effects of alcohol take drugs in accordance to the physician’s prescriptions. In the hospital setup, hierarchy concentrates on a central figure like the administrator. The head physician then transfers authority down to the lowest level employees. The ministry of health reviews the specialization of the caregivers before ranking them. Therefore, a highly specialized physician ranks higher than the general practitioners (McInnes, Peters, Bonney, & Halcomb, 2015). The senior employee facilitates the provision of quality care by offering valuable instructions to workers at low ranks. The head nurse can instruct the psychiatrist to attend to patients of alcoholism due to the relevance of their expertise. On the other hand, the dietitian has the responsibility of attending to patients with eating disorders. Therefore, the understanding of hierarchy ensures quality medical information system attention. Power has different descriptions according to different sociologists. Max Weber defines authority as the capability to manage people, resources, or events (Krott et al., 2014). The influential figure should ensure that the will comes into pass regardless of opposition, resistance, or obstacles from the junior employees. A powerful hospital administrator should ensure that patients receive quality medical attention regardless of the minimal resources. The head nurses should also provide that the patients suffering from the effects of alcoholism abandon the habit of paving the way for recovery. Efficient use of power also eliminates issues at the hospitals like medication errors. The administrator should use the powers to supervise the activities of the caregivers to ensure effective treatment. Karl Marx looks at the concept of power regarding social systems and social classes. He, therefore, believes that the social class commands all the power (Milios, & Dimoulis, 2018). Thus, the provision of quality medical attention is dependent on the political goodwill of the Australian government. The caregivers should use their positions to request for funding from the national administration. Additionally, the leader of the country should use the power to ensure equal medical attention to the citizens. Talcott Parsons believes that power originates from the potential of the social system to manage resources and individuals for the achievement of set objectives. Therefore, the healthcare system should control the medical equipment and the caregivers to offer quality medical services to citizens. Power and hierarchy are essential in the Australian health care. The sociological perspectives further explore the relationship between the two aspects and medical attention for patients of alcoholism and eating disorders. The views of the functionalists, conflict, and interactionists explain the relationship between sociology and healthcare. The biological model concentrates on the biological aspects of medication but fails to explain the relevance of power and hierarchy in treatment. Therefore, the model is appropriate but not complete in exploring medical attention. Hierarchy and power ensure quality treatment if the stakeholders make use of the two concepts. Hierarchy is the ranking of employees according to their positions. On the other hand, power is the capability of an individual to exercise control over the others in an organization. 1. Allen, D., Braithwaite, J., Sandall, J., & Waring, J. (2016). Towards a sociology of healthcare safety and quality. Sociology of health & illness, 38(2), 181-197. 2. Anicich, E. M., Fast, N. J., Halevy, N., & Galinsky, A. D. (2015). When the bases of social hierarchy collide: Power without status drives interpersonal conflict. Organization Science, 27(1), 123-140. 3. Baker, S. C., & Watson, B. M. (2015). How patients perceive their doctors’ communication: Implications for patient willingness to communicate. Journal of Language and Social Psychology, 34(6), 621-639. 4. Baum, F., Freeman, T., Lawless, A., Labonte, R., & Sanders, D. (2017). What is the difference between comprehensive and selective primary health care? Evidence from a five-year longitudinal realist case study in South Australia. BMJ Open, 7(4), e015271. 5. Braithwaite, J., Matsuyama, Y., Mannion, R., Johnson, J., Bates, D. W., & Hughes, C. (2016). How to do better health reform: a snapshot of change and improvement initiatives in the health systems of 30 countries. International Journal for Quality in Health Care, 28(6), 843-846. 6. Davies, E. L., Conroy, D., Winstock, A. R., & Ferris, J. (2017). Motivations for reducing alcohol consumption: An international survey exploring experiences that may lead to a change in drinking habits. Addictive behaviors, 75, 40-46. 7. Krott, M., Bader, A., Schusser, C., Devkota, R., Maryudi, A., Giessen, L., & Aurenhammer, H. (2014). Actor-centered power: The driving force in decentralized community-based forest governance. Forest Policy and Economics, 49, 34-42. 8. McInnes, S., Peters, K., Bonney, A., & Halcomb, E. (2015). An integrative review of facilitators and barriers influencing collaboration and teamwork between general practitioners and nurses working in general practice. Journal of advanced nursing, 71(9), 1973-1985. 9. Milios, J., & Dimoulis, D. (2018). Karl Marx and the classics: An essay on value, crises and the capitalist mode of production. Routledge. 10. Mitrou, F., Cooke, M., Lawrence, D., Povah, D., Mobilia, E., Guimond, E., & Zubrick, S. R. (2014). Gaps in Indigenous disadvantage are not closing: a census cohort study of social determinants of health in Australia, Canada, and New Zealand from 1981–2006. BMC Public Health, 14(1), 201. 11. Sallis, J. F., Owen, N., & Fisher, E. (2015). Ecological models of health behavior. Health behavior: Theory, research, and practice, 5, 43-64. 12. Schadewaldt, V., McInnes, E., Hiller, J. E., & Gardner, A. (2016). Experiences of nurse practitioners and medical practitioners working in collaborative practice models in primary health care in Australia–a multiple case study using mixed methods. BMC family practice, 17(1), 99. 13. Walker, C., & Peterson, C. L. (2017). Multimorbidity: a sociological perspective of systems. Journal of evaluation in clinical practice, 23(1), 209-212. 14. Ward, P. R., Rokkas, P., Cenko, C., Pulvirenti, M., Dean, N., Carney, S., ... & Meyer, S. (2015). A qualitative study of patient (dis) trust in public and private hospitals: the importance of choice and pragmatic acceptance for trust considerations in South Australia. BMC health services research, 15(1), 297. 15. Williams, H., Spencer, K., Sanders, C., Lund, D., Whitley, E. A., Kaye, J., & Dixon, W. G. (2015). Dynamic consent: a possible solution to improve patient confidence and trust in how electronic patient records are used in medical research. JMIR medical informatics, 3(1). 16. Zhou, Y. (2014). The experience of China-educated nurses working in Australia: a symbolic interactionist perspective. PloS one, 9(9), e108143.